"American Civil War Field Instruments - 3" by Normadeane Armstrong Ph.D, A.N.P. This set contains various field instruments used during the American Civil War. The identifiable items in the set includes a scissor, scalpel, thermometer, and other useful tools. 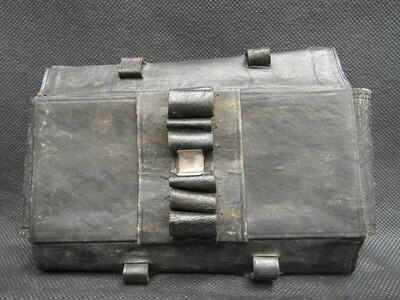 The set is housed in a leather pouch.